Four Seasons Hotels and Resorts will open its second hotel in Bogota, Colombia in April this year. 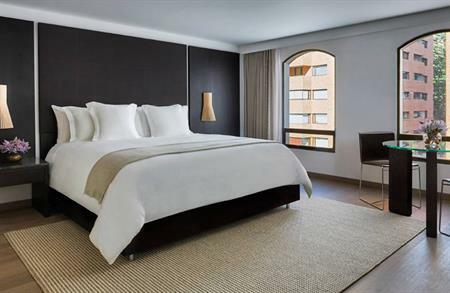 The Four Seasons Hotel Bogota will open in the remodelled building formerly known as the Hotel Charleston. It will be located in the city centre, just a 40-minute drive from El Dorado International Airport. The hotel will have 64 rooms with custom made beds and 52sqm of meetings space, including two different function rooms. There will also be a private dining room that can host up to 12 delegates and 24-hour business assistance. There will be two restaurants, including new Japanese robata grill Kuru and casual dining space Biblioteca. There will also be a bar and coffee area. Other facilities include a luxury spa with five treatment rooms and a 24-hour fitness centre.